We have a success rate of 91%. Our athletes conquered their race goals due to running knowledge, techniques, and with organized groups that helped them finish strong and set new PRs. Tina Klein I never could have made it through this adventure without you and Balanced Running. It hard to believe my journey began 7 years ago when I couldn’t even run a mile! I love my new mug , goodies, and soap you gave me! You are so kind and generous always sharing your gifts and talents with all that cross your path. You are my hero! Thank you so much for helping me reach all my firsts ...5k,10k, half marathon, Marathon, and now Ultra Marathon. Thanks for introducing me through your program athletes who have inspired, pushed, and encouraged me to dream big and reach my goals! My balanced running family and coaches mean the world to me!!! Thank you so much!!! Tina, Dale and all the other coaches have given me some of the best support in my life. I always wanted to be a runner, but I didn’t have the tools to continue by myself, and it’s rare to find coaches and fitness experts willing to work with you “where you are.” With patience, gentleness and dignity, Tina and Dale helped me focus on small goals. First running from light pole to light pole to running 3 miles to running a 12k this past summer. I feel so blessed to have found Balanced Running, and I look forward to pushing through new boundaries with their help in the coming year! "Tina provides her athletes with exceptional coaching and motivates them to push their boundaries. She assesses each athlete's current ability and encourages them to focus on incremental improvements to achieve their goals. Her methods and training style make her one of the most effective running coaches I have come in contact with since I took up running in 2006. Her training programs are catered to the individual's ability and not just general schedules you might find on a website or in a magazine. In 2016, I achieved my 2nd best ever 10K time and my best ever 5K time. It was only through her guidance that I was able to achieve these results. Lastly, Tina keeps all of her athletes educated, informed, and entertained with her wisdom and her wit. She makes her sessions both challenging and enjoyable at the same time, always keeping things fresh and fun. No one gets bored with Tina as their coach!" "Thanks again for the informative talk. You rock!... Oh! I forgot to mention, I reminded myself to beat the drum while racing and ran the tangents on Sunday!!! THANK YOU!" "I had lost 50 lbs with weight watchers, and had been doing a lot of walking. I had run in my younger years but not as a grown adult, and I wanted to do it RIGHT! I did my 1st training with Tina for the PRR in 2011. I have NEVER met anyone more passionate about what they do like Tina Klein. What a inspiration she is to be such a little biddy thing!!! She truly talks the talk and walks the walk. I always felt confident I was receiving the best training because of the plethora of information she constantly had for us. Mistakes most people make with running, is because of lack of knowledge. She works hard for her own personal goals, and works and trains us hard to reach ours, and is not satisfied until she has felt like she has had us achieved that. She treats everyone with utmost respect, young, old, heavy, thin, ... whatever... just passionate about you reaching your own personal goals, and then some!! Once you've met Tina, you have also gained a life time friend!!" Just wanted to say thanks to Tina and Balanced Running. I had a very specific goal and a short amount of time to get there. From training with Tina I not only reached my goal but beat it. Highly recommended. As a new runner, I had no idea how to get started. A huge thanks to, Tina Klein for developing a fun and informative training program that keep me motivated enough to help me restore my health. 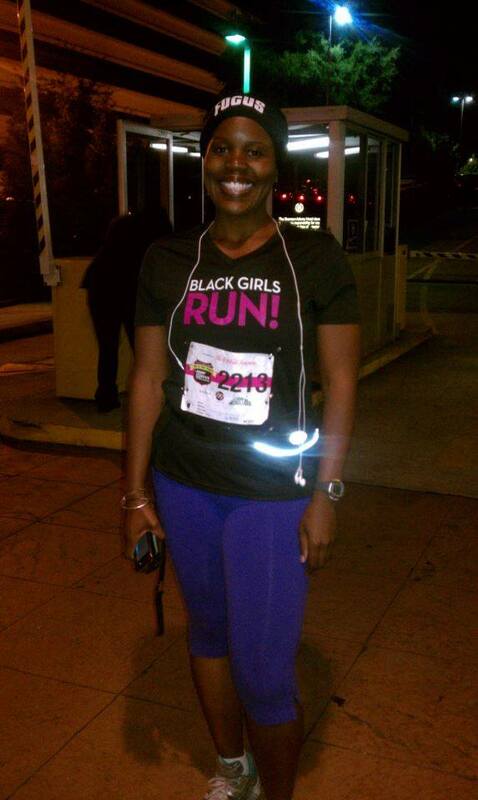 I never thought of myself as a “runner,” but because of her I am! Thank you for all the support and motivation I could not have done it on my own. 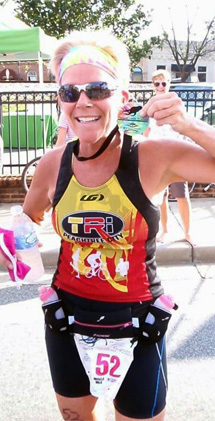 I was fortunate to meet coach Tina while training for the Peachtree Road Race. Her incredible support, unique stories, e mails, her passion for running, helped us all cross the finish line. I would never be the runner I am had I not met Tina Klein. Tina helped me become a runner! 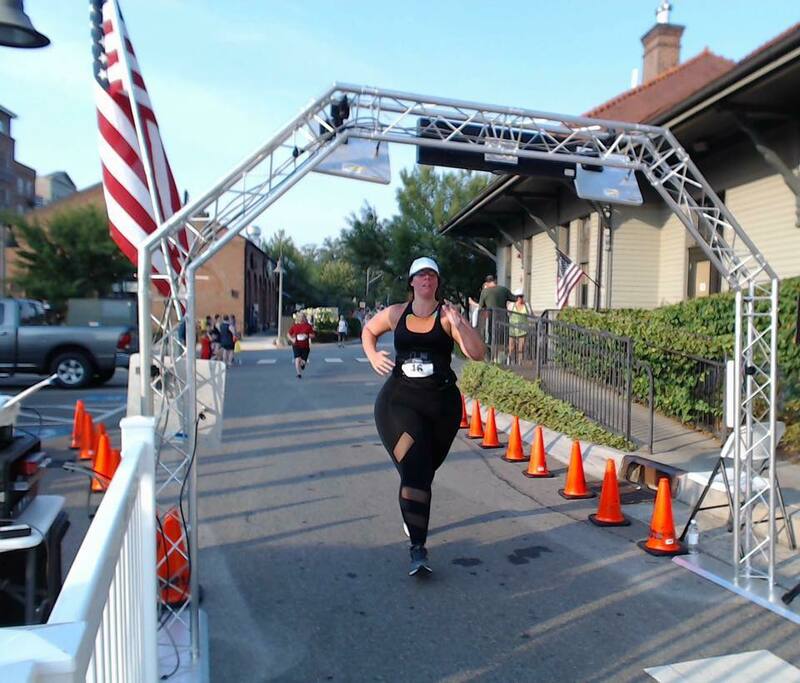 Just a bit over three years ago, I thought I was not a runner, and Tina helped me go from running my first mile, to completing my first half marathon, my first marathon, and to eventually becoming a volunteer running coach myself. Tina pushed me and motivated me through fun, lighthearted, but well-structured training sessions. I remember struggling with a hill, and it was Tina's funny encouraging chants that helped not just through that hill, but also through all "allegorical" training hills later on. I still think of her many helpful tips when I hit a low point and struggle in my running. Also, Tina's fun motivational emails got me thinking about various aspects of running that I never thought about before. Finally, thanks to Tina and her engaging leadership style, I became a part of an amazingly supportive community of runners. Now I belong to an informal women's running group that formed as a result of us all attending a training program lead by Tina. I recommend Tina's training programs to everyone, especially those doubting whether running is for them! I met Tina in April 2008, and under her training programs I have trained for my first 10K -P'tree in July 2008, first Half marathon, Nov. 2008; and for my first marathon Disney Jan-2010; during all three programs I was able to run injury free and finish each race strong, with the ambition to keep running and increasingly improve my times and keep running, so today I can count 5 marathons under my belt. 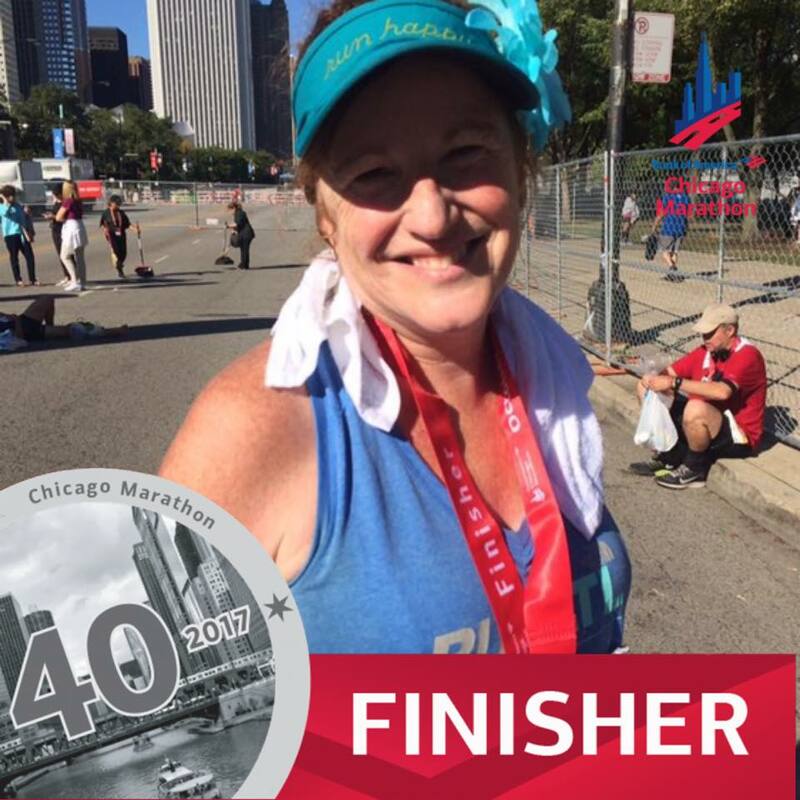 Tina inspired me not only for her professionalism, but her sympathy and selfless dedication to help anyone who is interested in getting off the couch and start walk/running with her, regardless of fitness level, she will always have the perfect training plan according to your fitness level and needs. She has limitless pearls of wisdom, which always shares with her trainees without any selfishness and in the spirit of helping each individual become better athlete every day and always stay motivated. I just simply love her, and want to thank her because I am the athlete I am today, for her teachings and advice. Gracias!